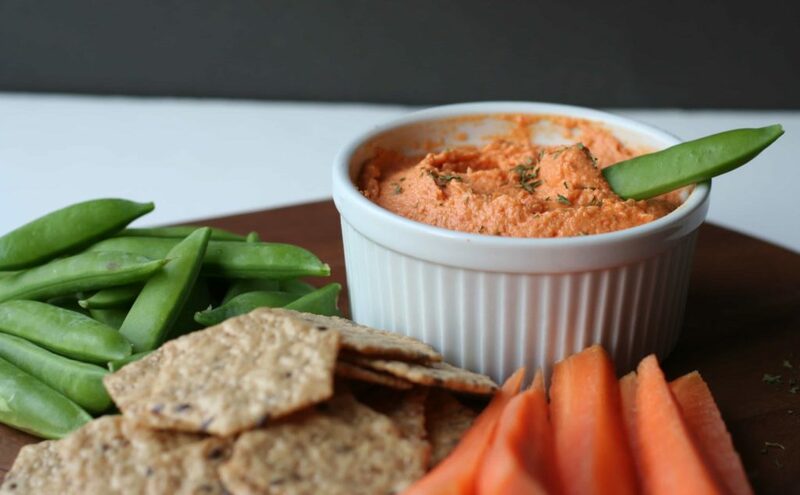 I really like hummus, actually, I really like roasted red pepper hummus. The jury’s still out on every other kind. Just not a giant chickpea fan. But something about the roasted red pepper kind is absolutely delicious. I don’t know why, it really rather surprises me every time I have it how much I like it. Unfortunately though, I’m the only one in my house that likes it. Soooo, buying the enormous tub of the stuff at Costco is just ridiculous. I can never finish it on my own. So I finally tried making it at home. And I’m so glad I did. This was pretty much identical to the Sabra one that Costco sells. Maybe even better. And it didn’t go bad before I finished it since it wasn’t such a ridiculous amount! I don’t think I’ll be buying hummus again, it was just too easy to make. And since I’ve finally found the tahini at the grocery store (has anyone else had a hard time finding it? I’ve looked so many times and given up, but I was persistent this time so – success!!) and now have a big container, I may even have to try some other flavours. Who knows, maybe when it’s homemade I’ll even discover that other kinds of hummus are actually good? Any good ideas for hummus flavours to try? I’ve only ever liked red pepper! Preheat the oven to 425 degrees F. Place the whole red peppers and garlic cloves (no need to take the skin off) on a foil lined cookie sheet and roast for 25-30 minutes, or until the skins have started to blacken. Remove from the oven and let cool. In a small bowl, whisk together the olive oil and tahini. Set aside. Peel the cooled garlic and red peppers and remove the stem and seeds. Put the garlic and pepper flesh in the bowl of a food processor along with the rinsed chickpeas, salt, and cayenne and process until combined. Add the juice of the lime and process again. Then as the food processor is running, drizzle in the tahini mixture and process until smooth and creamy. Garnish with parsley if desired. Hummus will keep well in the refrigerator in a sealed container for 3-5 days. Source: Adapted from Brown Eyed Baker . 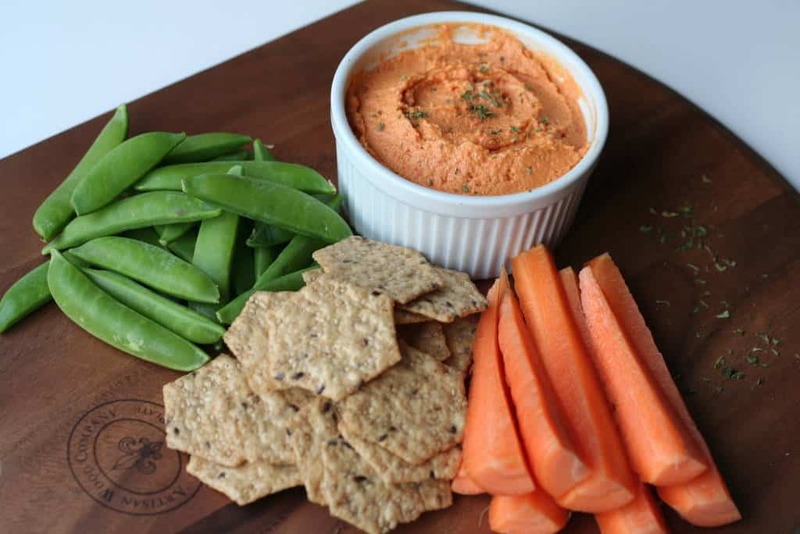 Love roasted red peppers and hummus so basically this recipe needs to happen asap! I know hey? So good! Thanks for visiting Krista! I've never tried to make my own, but have meant to for years! And yes.... tahini is not an easy product to find! Haha. I've only ever found it in 1 grocery store location in the whole city. I love how easy this is... it's got to happen soon. Maybe for football on Sunday. Thank you for sharing!! I think this is way way better than the Sabra one! Love the color!! Thanks Shashi! I'm already thinking of making another batch and I just finished this one!